As a military brat, Nielsen Ferry grew up all over the U.S. before his family settled in San Antonio, Texas where he graduated high school and attended Texas A&M University for one semester. After moving to Memphis, he enrolled at the University of Memphis to pursue a degree in broadcast journalism. His career goal is to land a job as sports commentator at ESPN studios in Los Angeles. Nielsen is Sports Director at WUMR Radio, the University's on campus radio station. He hosts a daily sports show and commentates at University football and basketball games. When he's not in class you might catch him volunteering with Big Brothers Big Sisters, at the gym, or maybe the local watering hole. Nielsen aspires to one day work at ESPN. Louis Goggans is a senior print journalism major at the University of Memphis, as well as a reporter for the Memphis Flyer. Originally from Alexander City, Ala., Louis moved to Chattanooga, Tenn. at the age of five. Prior to his position at the Memphis Flyer, Louis worked for the U of M student newspaper, the Daily Helmsman. He was also the 2008-2009 President of the U of M's student chapter of the National Association of Black Journalists. Mye Griffin is a senior broadcast journalism major and sociology minor at the University of Memphis. Currently, My is interning at FOX 13 news station as a reporter and is extremely excited and grateful for the opportunity. Mye had her first hands on media experience at C-19 TV where she was responsible for writing weekly newscasts. She then left C19 and became a mid-day jockey for WKRA F.M. radio station in Holly Springs, Mississippi. At the University of Memphis, she was a contributing writer for the Daily Helsman newspaper and was also a reporter/anchor for Insight news, a weekly run cable newscast. She will graduate from the University of Memphis May 7th, 2011. Brennan grew up on the Mississippi Gulf Coast and came to Memphis by way of the University of Memphis Men’s soccer program where he played one season for the Tigers before electing to leave the team to focus on journalism endeavors. He began contributing to the on campus newspaper, The Daily Helmsman, as well as The University of Memphis Magazine. Brennan began his broadcasting career at 91.7fm WUMR working as a sports commentator on the morning drive sportscast. While at the station, he also worked as a broadcaster for the university’s basketball and football teams. This year, Brennan began covering several Memphis Grizzlies games for Memphis Sport. Brennan got into journalism originally to become a sports play-by-play announcer, but during his tenure at Memphis, he found passion for foreign news. Currently he serves as the foreign correspondent for 1480am WBBP. 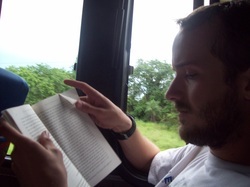 His time covering foreign news has driven him to attending graduate school this summer. His ultimate career goal is to become a foreign news correspondent in network news. Brennan is our Arts and Entertainment reporter for MicroMemphis. You can follow Brennan on Twitter at www.twitter.com/brennansomers or contact him via email at bsomers@memphis.edu. 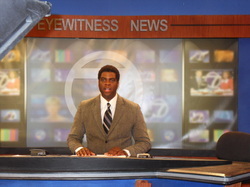 Hi, I'm aspiring network anchor and multi-media journalist, Daniel Wilkerson. I'm a senior broadcast news major at University of Memphis. I'm intrigued by the latest craze of hyper-local reporting, news organizations targeting specific neighborhoods. I'm excited to report on Cooper-Young. I'm the Business reporter for Micro-Memphis. I love the community, specifically the people that make it the most unique neighborhood in the Mid-South. I think other neighborhoods in the country stand to learn invaluable things from this community. The camaraderie and loyalty enjoyed by its residents are unparalleled. I graduate in May and am currently interning at ABC-7 Eyewitness News in Jackson, TN. I would love to attend graduate school to study political science. Network news is comprised of mostly politics. I would like to get a firm foundation in politics, international relations, foreign policy, and public issues. I feel incredibly fortunate to live in an era when I’m able to choose a career path in an area about which I am passionate. For me that is the news business, specifically to report at the network level in either Washington, D.C., or New York. I hope you enjoy the articles, information, and features of our site. If you have any comments or concerns regarding how we can improve it, please contact me. Please go to danielwilkerson.weebly.com to view my work in broadcast journalism. You can also follow me on twitter at www.twitter.com/dan_wilkerson. Jessie Wilks is a senior from San Francisco, CA. She is a Broadcasting Journalism major from the University of Memphis, and formerly a student-athlete of the Women's Track and Field/Cross Country team. Jessie is a Tiger Elite scholar, in addition to being President of the leadership honor society, Omicron Delta Kappa. Jessie is passionate about all mediums of sports, which led her to be a sports personality commentator on WUMR's U92 FM, U of M's on-campus radio station. Jessie serves as the Public Relations chair for Phi Mu Fraternity and is an avid volunteer for Lebonheur Children's Miracle Network and St. Jude's fundraiser, Up Til' Dawn. This past summer, Jessie worked with Athlon Sports Communications Inc., as an Events Marketing and Editorial intern in Nashville, TN. Jessie's journalism background led her to be a staff reporter for The Daily Helmsman, which is U of M's student-run newspaper staff. She is a charter executive board member of the largest student organization on campus, the student alumni association (the FAM). Jessie is an active Lifeblood donor, and enjoys attending church with her family at St. Francis of Assisi. Jessie is currently a sports intern with Channel 3's WREG, working closely with Glenn Carver. After a May 2011 graduation, she hopes to attend graduate school or a post-graduate internship to fulfill her dream of being a sideline reporter for ESPN. Lurene Cachola-Kelley is an assistant professor of news at the University of Memphis Department of Journalism. She earned her B.A. in journalism at Gonzaga University in Spokane, Washington. Lurene received her M.A. in journalism and Ph.D in organizational communication from the University of Memphis. She has 15+ years experience in local television news and production. Originally from Butte, Montana, Lurene started her reporting career at her hometown TV station. She later worked as a TV reporter in Knoxville, Tennessee and then WREG-TV in Memphis, Tennessee. She is a contributor to the Emmy-award winning Smart Medicine on WKNO-TV and serves on the board of the U of M Journalism Alumni Club. Lurene and her family live in Midtown Memphis.